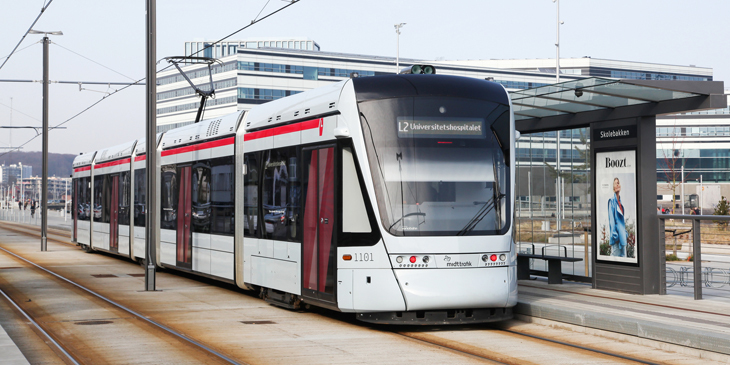 Second phase of Aarhus’ light rail system opens Saturday August 25th – a project supported by Ricardo Certification. Phase 2 of the Aarhus system – which initially opened in late 2017 – extends the network to the city of Odder, increasing the total length from 12 km to 42 km. The new route takes advantage of a previously closed line main line, which has been adapted to carry a mix of light rail and ‘Tram Trains’ – bi-mode rolling stock that can operate partly as a train with higher speeds and automotive train protection, as well as by manual operation at street level alongside road traffic. Up to 12 trains per hour will serve this busy central section. Since 2012, Ricardo Certification has supported the project’s development since 2012 when we were appointed as the Independent Safety Assessor, assessing this very important transport infrastructure project. Phase 1 of the system was opened in December 2017 and consists of 12km of track through Aarhus’ city centre. The system has proven to be extremely popular – a result of its impressive reliability performance, with its first six months showing 99% of services ran and completed their journeys on time. The network carried an average of 8400 passengers per day – an increase of 40 percent compared to the bus line that it replaced.